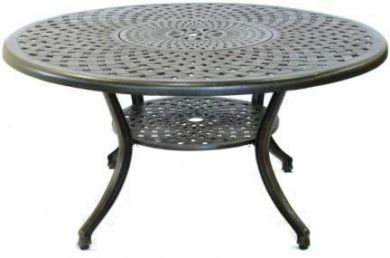 The Eclipse range offers the best in quality and elegance in cast aluminium furniture. Our range is offered in a rich bronze powder coated finish. Our Cast Aluminium can be used all year round and is renowned for its exceptional strength. It offers total rust free and maintenance free furniture that can be used in all weather conditions. FREE DELIVERY IN ENGLAND AND WALES. A SMALL CHARGE WILL BE MADE FOR ORDERS IN SCOTLAND.